It's our Four Year Anniversary! Many thanks to all of our wonderful customers for your support over the years. To show our appreciation, we have several specials this month - all specials good throughout the month of November 2014! Join us at Curds and Wine to learn how easy and rewarding it is to make your own cheeses at home! 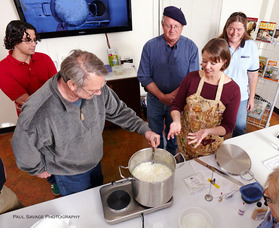 In our Cheesemaking Fundamentals Class you will learn the fundamental processes behind fresh cheesemaking as well as the techniques for making pressed cheeses and aged cheeses such as cheddar, gouda, and camembert. We will make fromage blanc, ricotta, and queso fresco, and demonstrate the processes involved in making feta, swiss-style cheeses and mold-ripened cheeses such as camembert/brie-style and blue cheeses. We will have samples of the various styles of cheeses you can make at home from Venissimo, as well as other refreshments. Finally, you will receive a packet with a recipe booklet to make the cheeses from the class as well as basic supplies to get you started with your cheesemaking. You will also receive a 10% discount coupon. Class size is limited to 18 participants. Ticket holders ONLY admitted to class. Saturday November 8, 2014 from 1 - 3:30 pm - SOLD OUT! 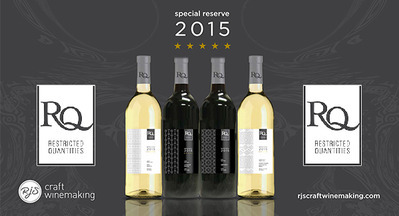 RJ Spagnols Restricted Quantity and Winexpert Limited edition 2014/2015 releases announced! Year to year, no two grape crops are the same. 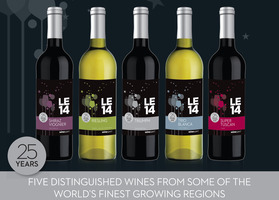 So each year, RJ Spagnols and Winexpert offer home winemakers an exclusive selection of outstanding wine kits, developed to feature the best results from grape harvests around the world. Due to the nature of these kits, they are only available in limited quantities, and must be pre-ordered by Sunday November 16, 2014 to reserve your wine kit. You can preorder your wine kits online to ensure availability through the links below. Purchase these Holiday Special Winemaking Gift Certificates at the shop or online any time! These gift certificates are only available in store through December 23, 2014 and online through December 25, 2014.